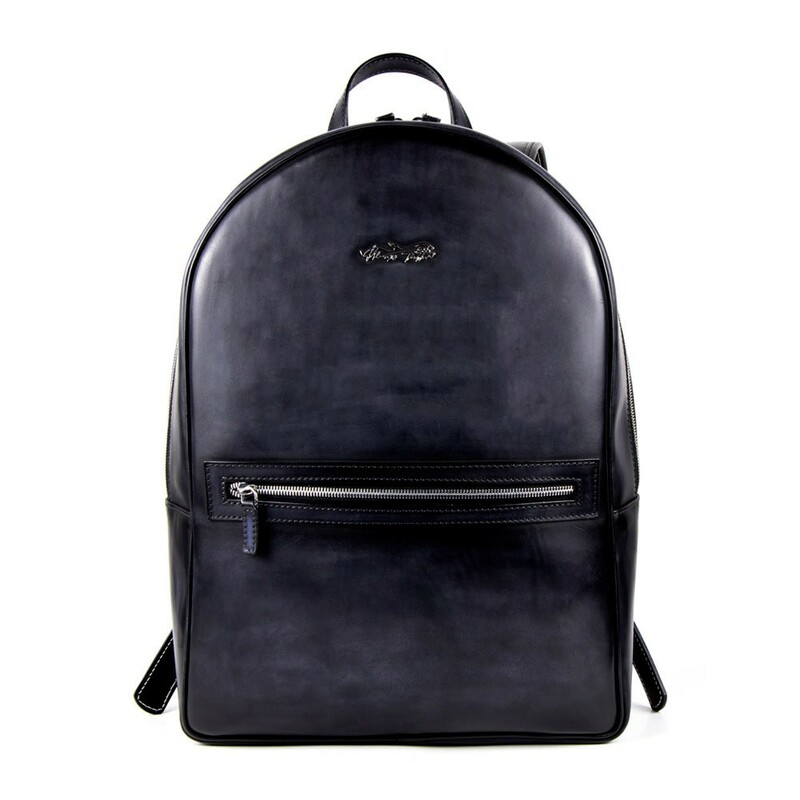 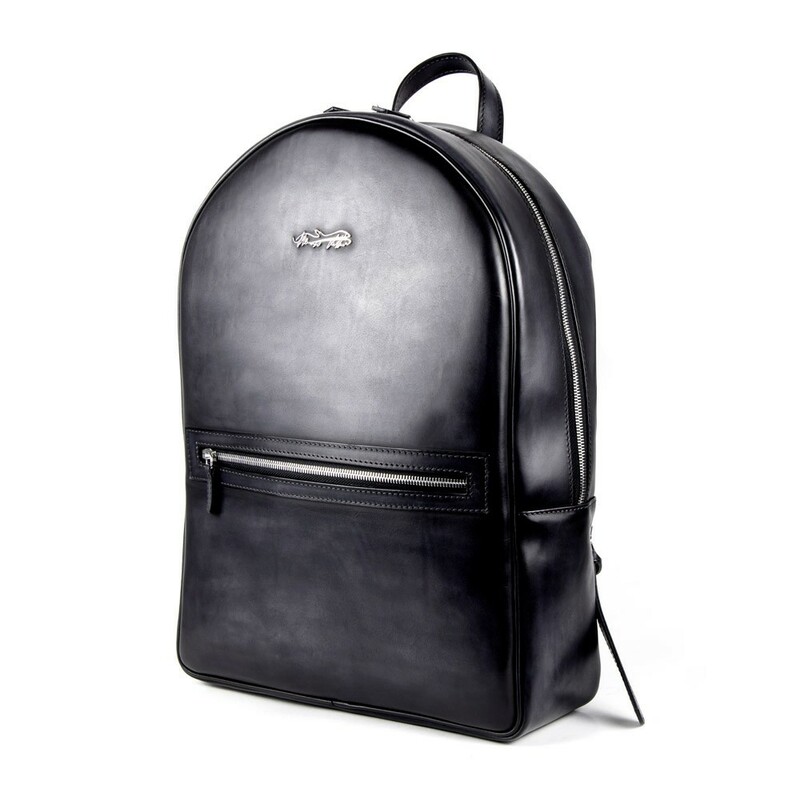 The zip closed backpack with front pocket is made of refined calfskin coloured and polishded by hand in black colour. 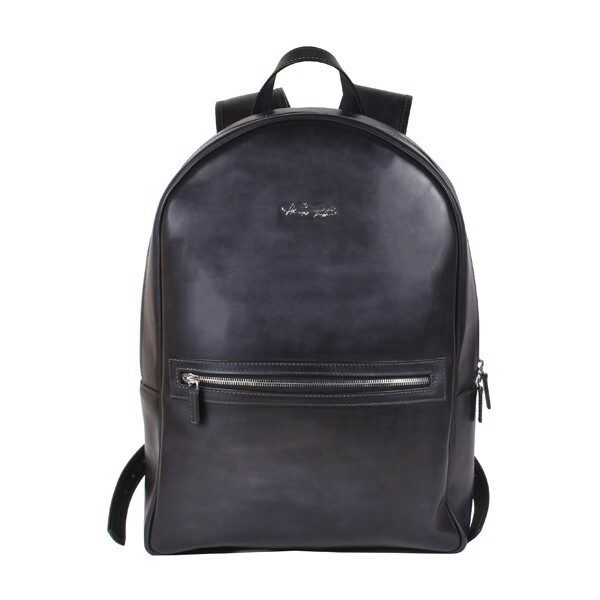 Leather shoulder straps and black technical mesh back. 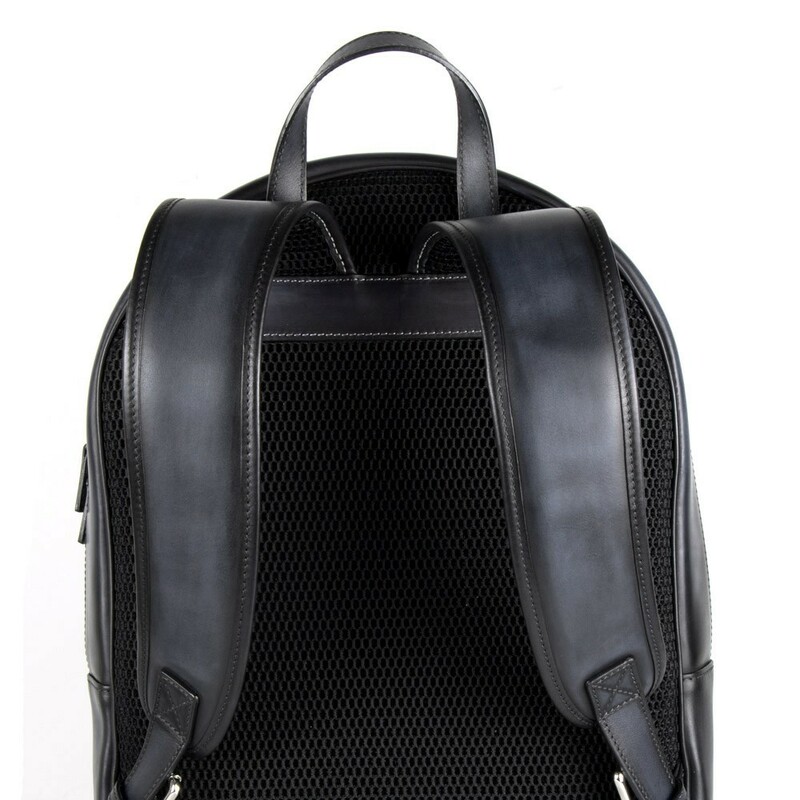 Metal albatros hardware on the backpack is the symbol of Vittorio Spernanzoni.